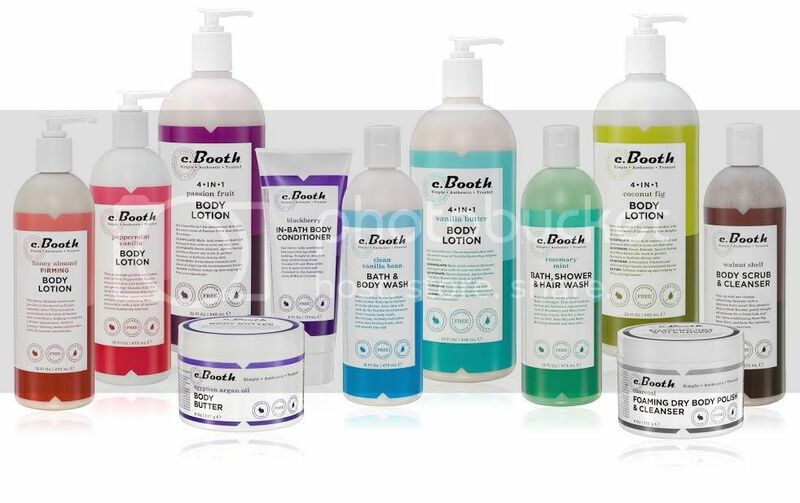 Have ya'll had the chance to try c.Booth products, yet? If not, be sure to scope out this line next time you are at Target! My husband and I are both such a fan of this line of bath and body products. 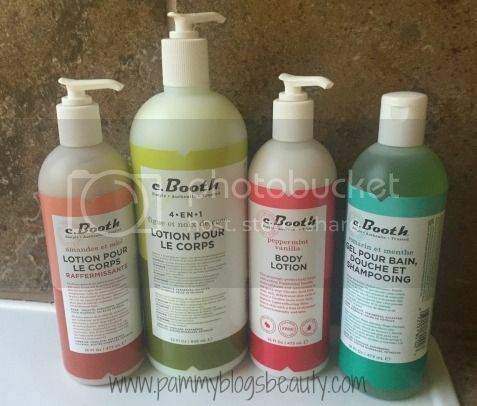 In addition to now being available at Target, c.Booth has also launched some NEW products and has revealed their new packaging! From the new product assortment, I had the chance to try a few products...and, of course, I loved everything that I tried. Applying lotion to my entire body after my morning shower is a daily ritual. I certainly go through a lot of moisturizer at my house! My favorite thing to do is to apply a firming body lotion to my legs and give my legs a vigorous massage. I really do think that it helps to firm and tighten the skin and gives your circulation a nice boost! I really love the slightly sweet almond scent of the Honey Almond Firming Body Lotion from c.Booth. The lotion itself is lightweight and quick-absorbing. It leaves a light natural sheen and it makes my legs feel super soft and smooth. Mint scents are so exhilarating when you are taking an early morning shower! This Bath, Shower, and Hair wash is such a pleasure to use. My husband uses it for everything: hair and body while I prefer to just use it as a body wash. I adore the scent and totally recommend it if you like minty washes. I am kinda obsessed with Vanilla-based scents. These two scents (Peppermint Vanilla and Coconut Vanilla) combine vanilla with the sweet yumminess of fig and the refreshing coolness of peppermint. I am absolutely thrilled that I can now find a Fig scent within a drugstore/affordable body lotion! I often wear a Fig fragrance and I really like to coordinate scents. So, now whenever I wear my Fig perfume, I use this body lotion, too! I think that the Peppermint Vanilla pairs very well with the Rosemary & Mint Body Wash for an all-around mintyness that I love! These body lotions leave my skin nicely hydrated and scented! Honey and almond, and coconut and vanilla sound like yum combos!